In response to my post on GitHub and Azure Pipelines, I got the following question on Reddit. Does this automatically detect branches? From your screenshot, you’re building master. 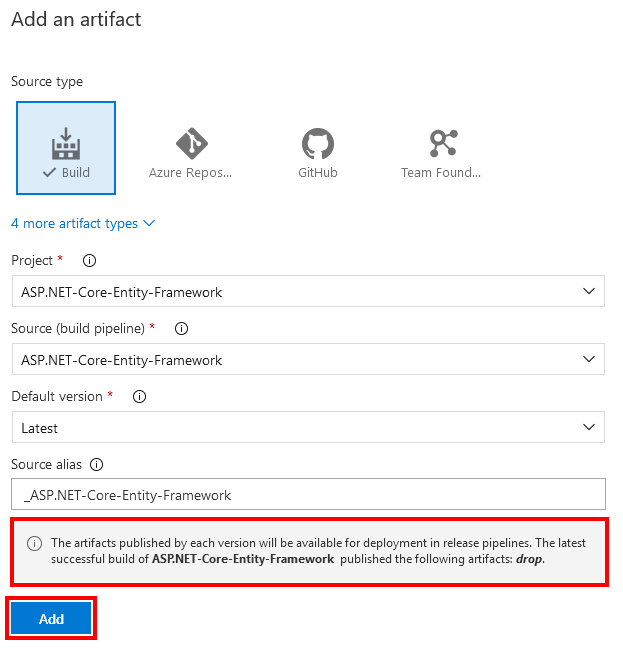 If you copy to feature-A, does a new pipeline automatically get created and built? When I initially answered this question I didn’t go deep enough. The answer to does a new pipeline automatically get created and built is no as I replied, but I think the intent of the question is do I have to go set up a new pipeline every time I create a new branch and the answer to that is also no. The existing pipeline will be triggered when any change is checked in on any branch by default. Do note that it won’t be triggered when the branch is created only when a change is checked in. There are a couple of ways to control what branches trigger continuous integration builds. The first is by making edits to the azure-pipeline.yml file in the repo and the second is via an override in the Azure Pipeline. The official Build pipeline triggers docs are really good, but I will cover the basic here for including branches and excluding branches. Check for docs for information on path includes/excludes as well as how to control PR validation. As an example here is the yaml file used to define a build in this repo. In order to control what branches get built, we need to add a trigger section. The smilest example is to list the branches you want to build. Ending wildcards are allowed. See the following example (trigger section taken from the official docs). This would build master and all branches under releases, but nothing else. The following shows how to use includes and excludes together. Again the triggers section is taken from the official docs. This would build master and everything in under releases that does not start with old. Really go read the official docs on this one to see all the ins and outs. 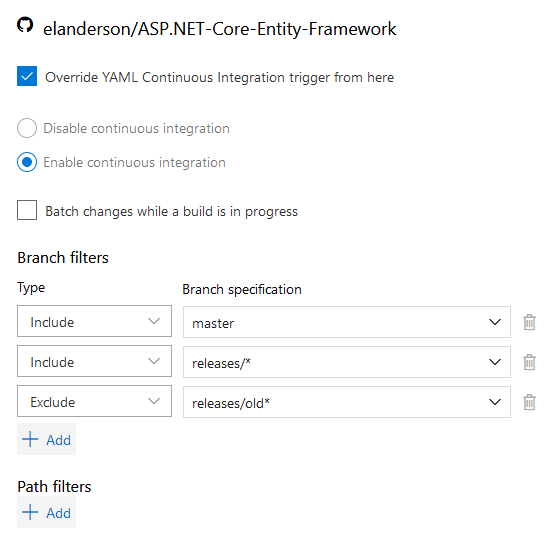 To override the CI build from Azure DevOp go to the build in question and click Edit. Next, select Triggers and Continuous integration and check Override YAML. After checking the override you will see a lot more options light up. As you can see in the following screenshot the same include and exclude options are available with the same options for wildcards. As you can see Azure Pipelines provides a lot of flex ability in how a build gets triggered. On top of what I covered here, there are also options for setting up scheduled builds as well as trigging a build with another build is completed. If you hit a scenario that couldn’t be covered I would love to hear about it in the comments. 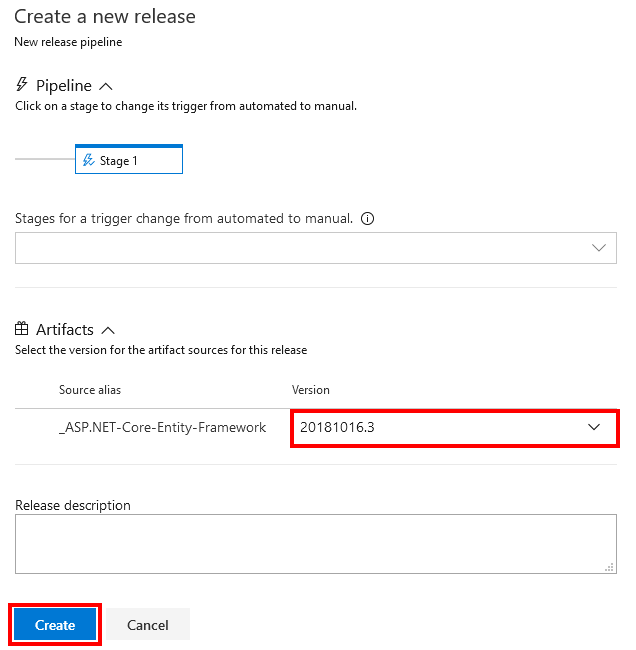 After last week’s post on Azure Pipelines: Release to Azure App Service I came across a much easier way to get started using Azure DevOps and Azure App Servies. 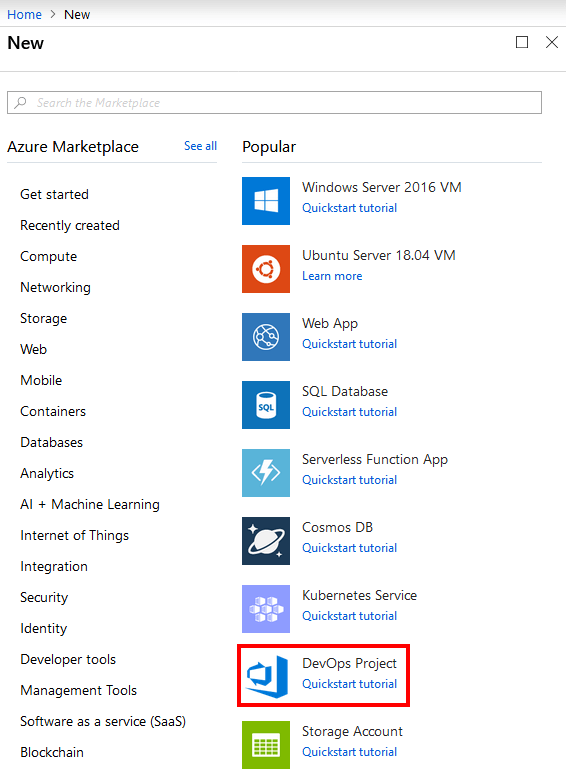 This post is going to walk through this process which is started from the Azure Portal side instead of Azure DevOps. The names here are going to be a bit confusing. When I say Azure DevOps I am talking about the rebrand of Visual Studio Team Services which includes services for boards, repos, pipeline, etc. 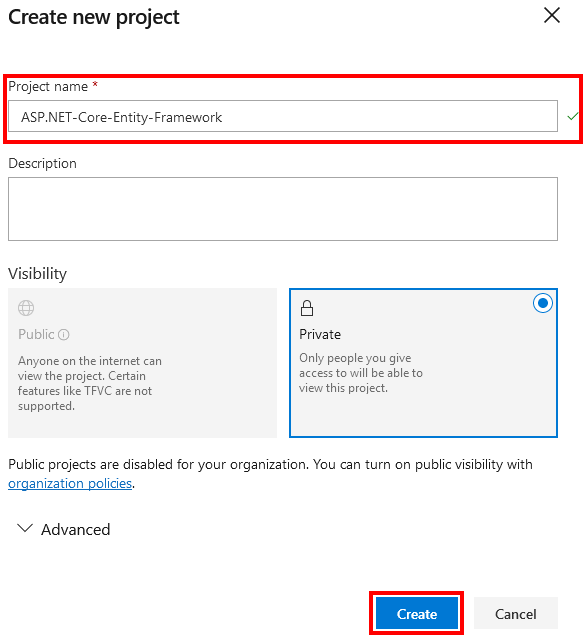 When I say Azure DevOps Project, or just DevOps Project, I am referring to the project type this post is going to be using from the Azure Portal side. 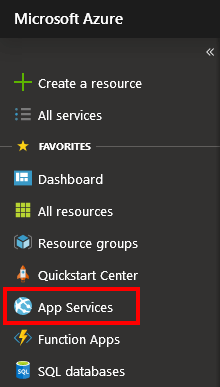 From the Azure Portal click the Create a resource button. For me, DevOps Project was in the list of popular items. If you don’t see it list you can use the search at the top to find it. Click on the DevOps Project to start the process. 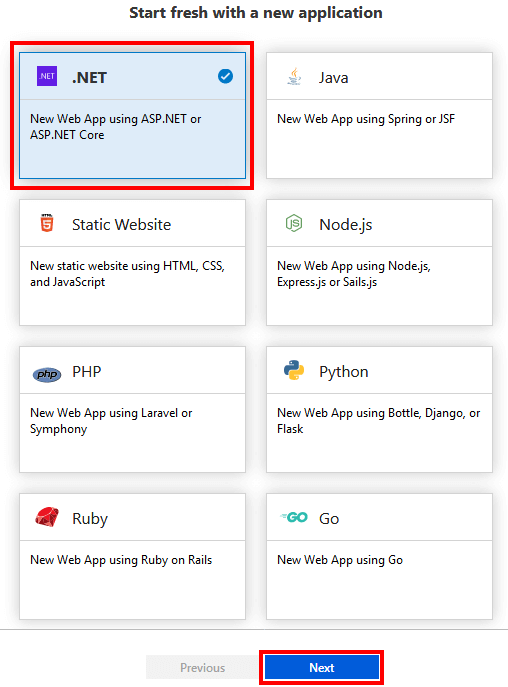 On the next page, you have options to start a new application with a lot of different languages or to deploy an existing application. For this example, we are going to select .NET and click the Next button. This screen is a great example of how Microsoft is working hard to support more than just .NET. For .NET the next choice is ASP.NET or ASP.NET Core. 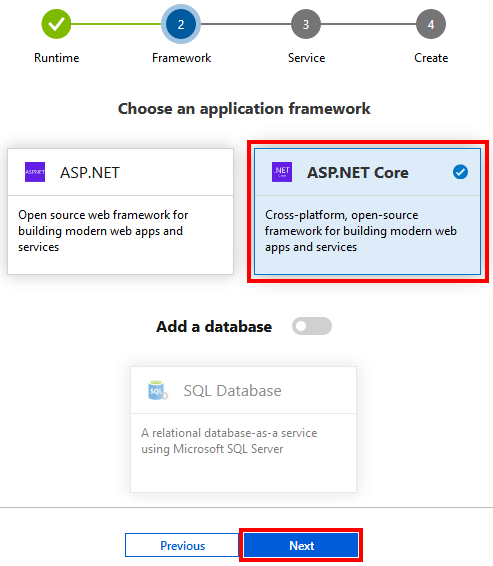 No surprise I’m sure that we are going to go with ASP.NET Core. There is also an option for adding a database, but we aren’t going to use it for this example. Click Next to continue. 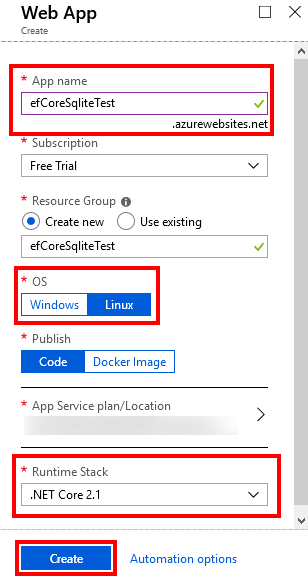 The next step is to select which Azure Service the new application should run on. We are going to use a Linux Web App to match what last week’s sample was running on. Click Next to continue. There are quite a few settings on this next screen, but they are all pretty clear. 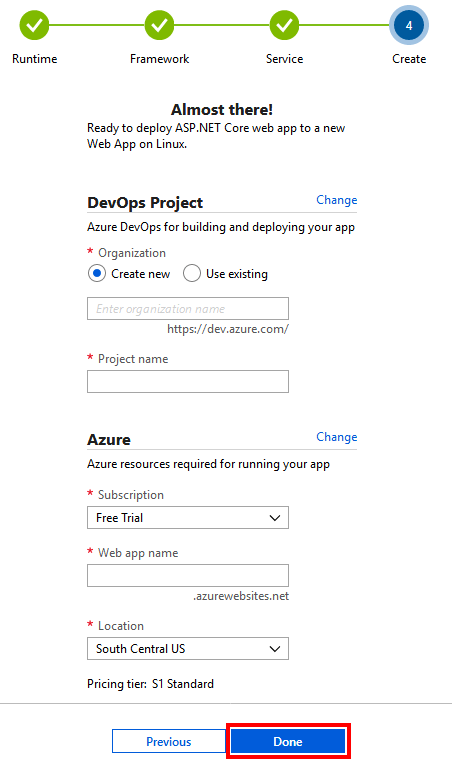 The first group of settings is for the Azure DevOps project and you can either use an existing account or the process will create one for you. A Project name is required. 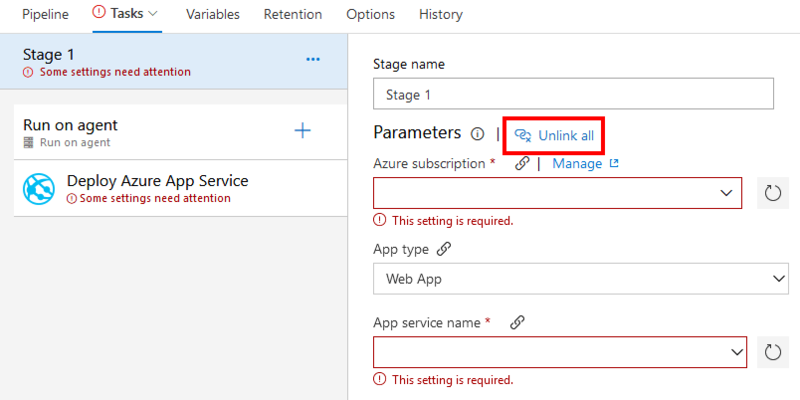 The next group of settings is for the Azure App Service that will be created. Subscription should default in if you only have one. 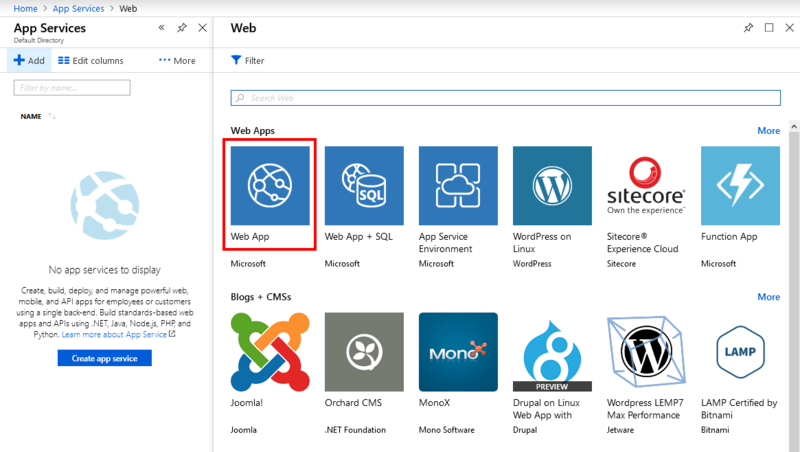 Web app name is going to control the URL Azure provides as well as play in the naming of the resources that are created. Click Done to start the creation process. After clicking down above the deployment of all the need resources will start. This process takes awhile. The portal will redirect you to a status page similar to the following while deployment is in progress. It took a little over 4 minutes for mine to complete. 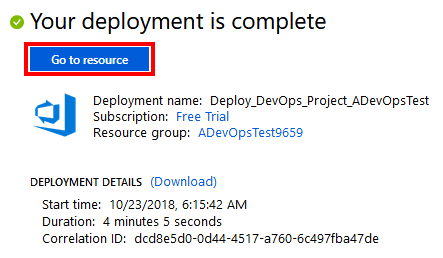 When the deployment is complete click the Go to resource button. 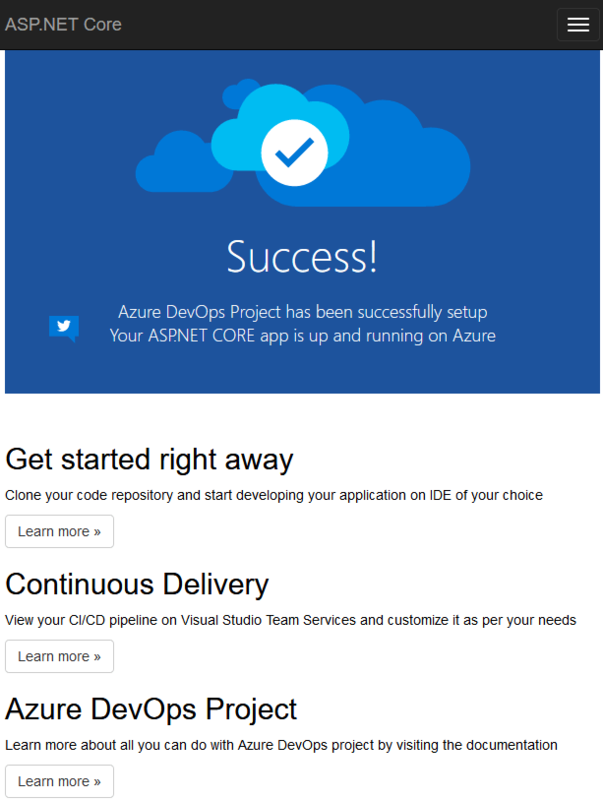 The Overview page for the project gives a great summary of the whole CI/CD pipeline that was created with links to the associated Azure DevOps pages to manage each step. 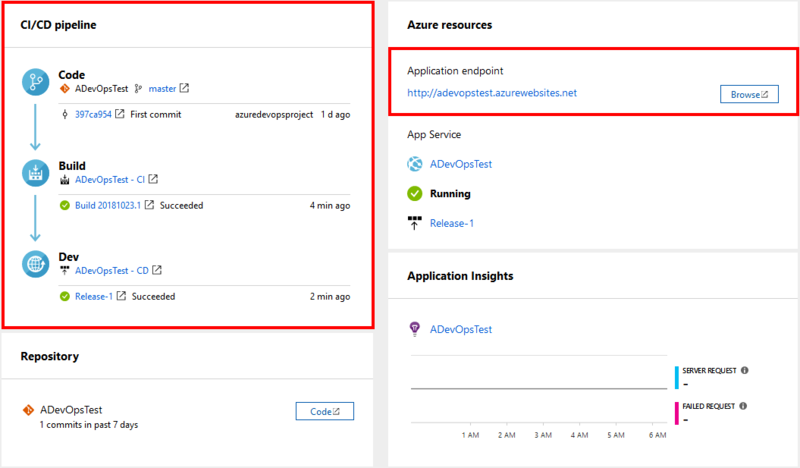 The Azure resources section will have the URL you can use to access the running application. The resulting application should look similar to the following. This process is a much easier way to get started if you are going all in with Azure. If you read last week’s post you know there is a lot that goes into creating something close to this setup manually and even then it was missing the nice overview provided by this setup. 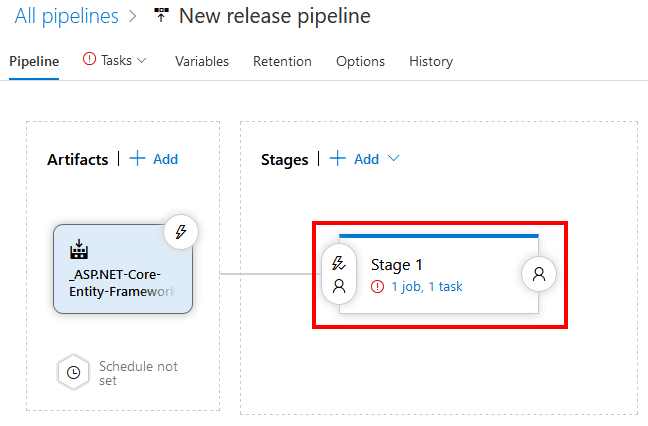 This post is going to use the same Azure DevOps project used in last week’s Azure Repos and Azure Pipelines post which had a build pipeline and add a release pipeline that deploys to an Azure App Service. This walkthrough is going to assume you have an Azure account already set up using the same email address as Azure DevOps. If you don’t have an Azure account one signup for an Azure Free Account. The build set up in last week’s post proved that the code built, but it didn’t actually do anything with the results of that build. In order to use the results of the build, we need to publish the resulting files. This will be needed later when setting up the release pipeline. In order to get the results we are looking for a few steps must be added to our build. All the changes are being made in the azure-pipelines.yml. The following is my full yaml file with the new tasks. As you can see in the above yaml this build now has three different steps. The build (this is equivalent to what the post from last week was doing) and publish (this gets all the files in the right places) tasks are both handled using the [email protected] task. Finally, the [email protected] takes the results of the publish and zips them to the artifact staging directory where they can be used in a release pipeline. Feel free to skip this section if you have an existing App Service to use. 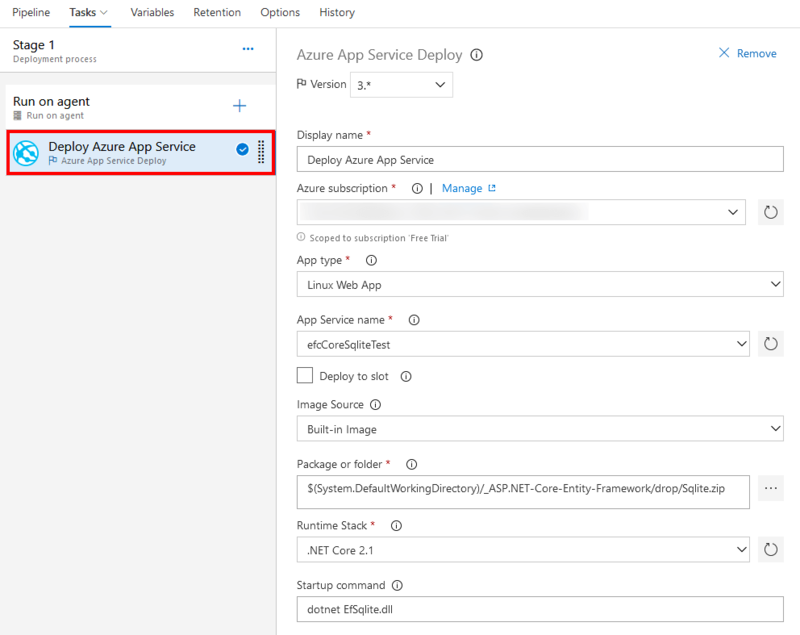 To create a new App Service open the Azure Portal and select App Services from the left navigation. Next, click the Add button. On the next page, we are going to select Web App. Now hit the Create button. The next page you will need to enter an App name, select the OS, and Runtime Stack before hitting the Create button. The OS and Runtime Stack should match the target of your application. 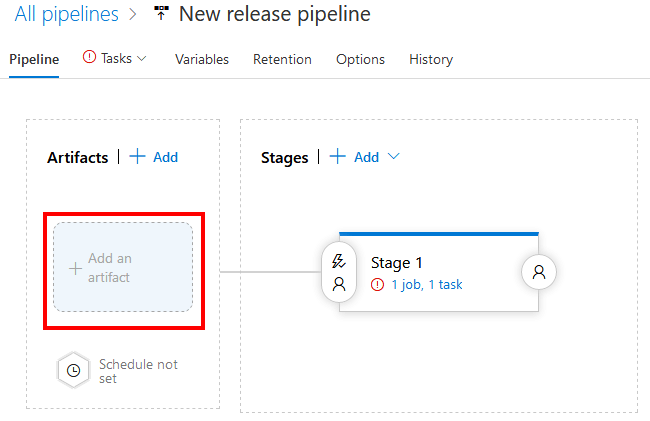 On your project from the left navigation select Pipelines > Releases and then click the New pipeline button. 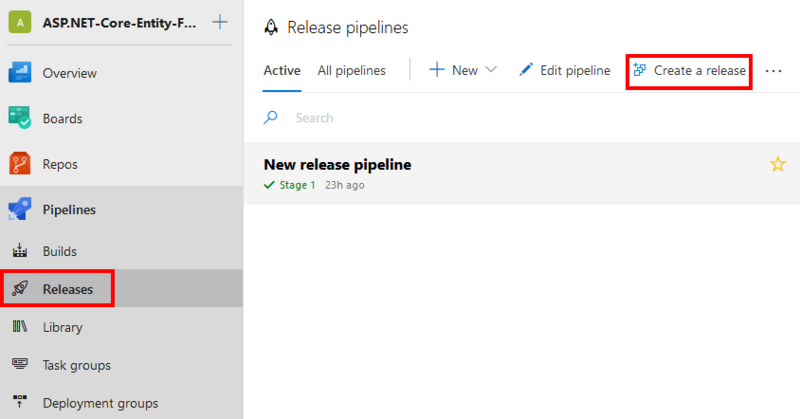 If you already have a release pipeline setup this page will look different. The next page has a list of template you can select from. 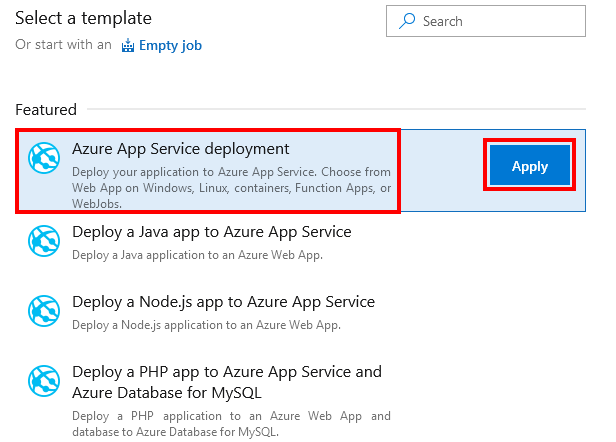 In this example, we will be selecting Azure App Service deployment and then click the Apply button. After clicking Apply you will hit the pipeline overview page with to sets of information. The first is the Artifacts which for us is going to be the results of the build pipeline we set up in last week’s post. Click the Add an artifact box. The Add an artifact dialog is where you will select where the release will get its build artifact form. We will be using the source type of build and selecting our existing build pipeline. Once you select your build pipeline as the Source a few more controls will show up. I took the defaults on all of them. Take note of the box highlighted in the screenshot as it will give you a warning if you build is missing artifacts. Click the Add button to complete. Above we selected the Azure App Service template which is now in our pipeline as Stage 1. Notice the red exclamation, which means the stage has some issues that need to be addressed before it can be used. Click on the stage box to open it. 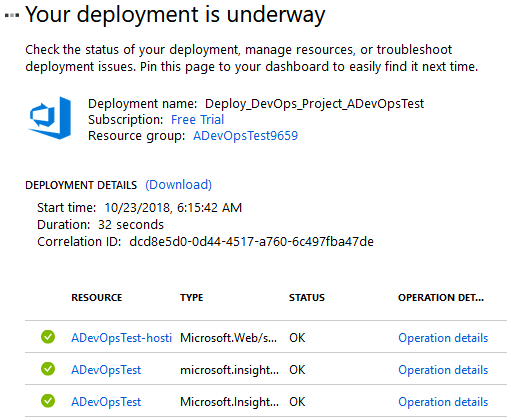 As you can see in the following screenshot the settings that are missing are highlighted in red on the Deploy Azure App Service task. On Stage 1 click the Unlink all button and confirm. 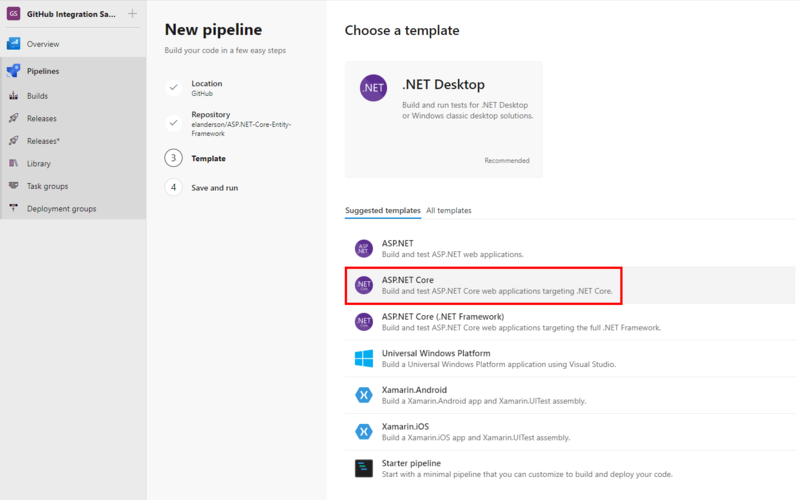 Doing this means there is more setup on the Deploy Azure App Service task, but this is the only way to use .NET Core 2.1 at the time of this writing. For some reason, the highest version available at the Stage level for Linux is .NET Core 2.0. After clicking unlink all the options other than the name of the stage will be removed. 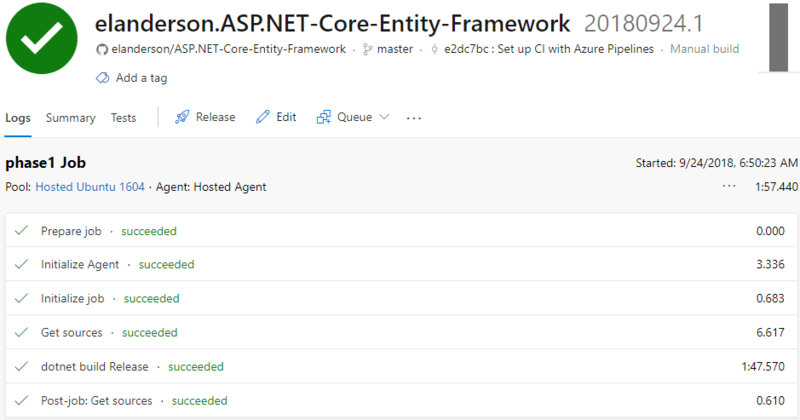 Next, click on Deploy Azure App Service task which handles the bulk to the work will place for this pipeline. There are a lot of setting on this task. Here is a screenshot of my setup and I will call out the important bits after. First, select your Azure subscription. You may be required to Authorize your account so if you see an Authorize button click it and go through the sign in steps for your Azure account. Take special note of App type. In this sample, we are using Linux so it is important to select Linux App from the drop down instead of the just using Web App. 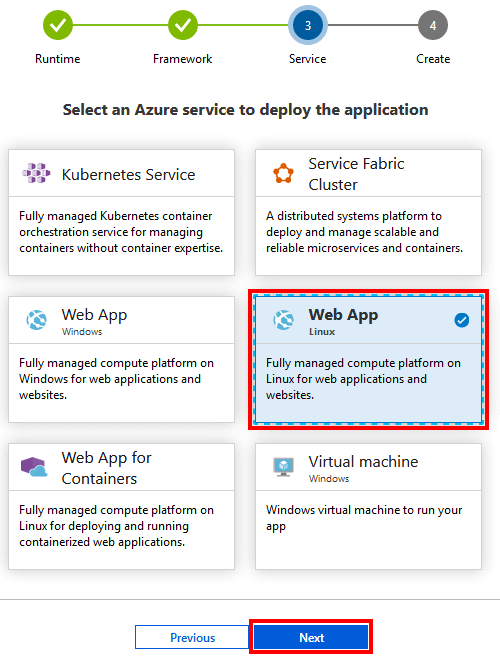 With your Azure subscription and App type selected the App Service name drop-down should only let you select Linux based App Services that exist on your subscription. For Image Source, I went with the Built-in Image, but it does have the option to enter use a container from a registry if the built-in doesn’t meet your needs. For Package or folder, the default should work if you only have a single project. Since this, I have two projects I used the file browser (the … button) to select the specific zip file I want to deploy. Runtime Stack needs to to be .NET Core 2.1 for this application. Startup command needs to be set up to tell the .NET CLI to run the assembly that is the entry point for the application. In the example, this works out to be dotnet EfSqlite.dll. After all the settings have been entered hit the Save button in the top right of the screen. 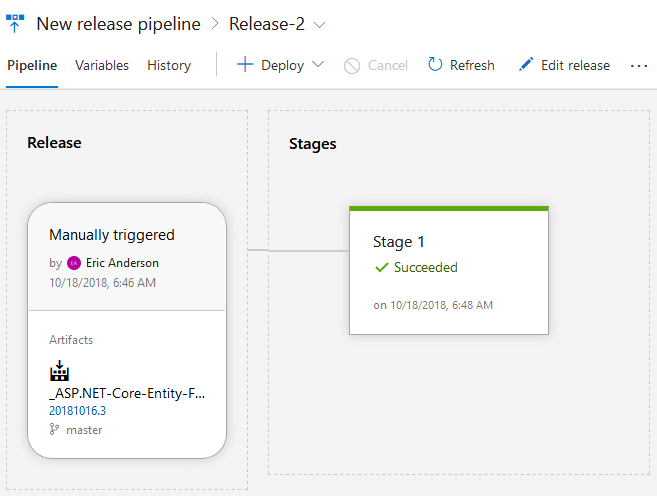 Navigate back to Pipelines > Release and select the release you want to run. Then click the Create a release button. On the next page, all you have to do is select the Artifact you want to deploy and then click the Create button. Create will start the release process and send you back to the main release page. There will be a link at the top of the release page that you can click to see the status of the release. The following is the results of my release after it has completed. I took me more trial and error to get this setup going that I would have hoped, but once all the pieces are get up the results are awesome. At the very minimum, I recommend taking the time to at least set up a build that is triggered when code is checked into your repos. Having the feedback that a build is broken as soon as the code hits the repo versus finding out when you need a deliverable will do wonders for your peace of mind. 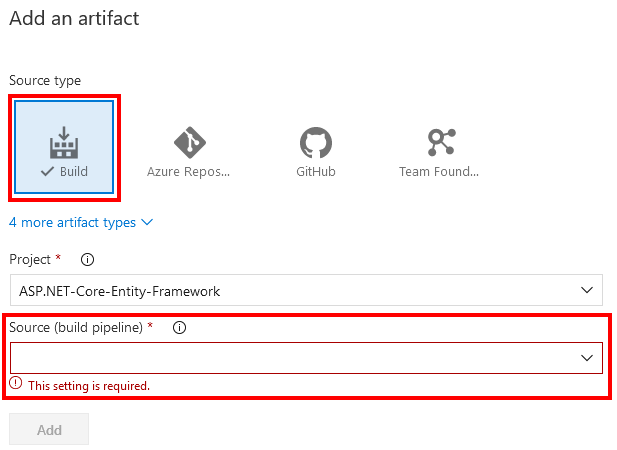 Last week’s post looked at using GitHub with Azure Pipelines. This week I’m going to take the same project and walk through adding it to Azure Repos and setting a build up using Azure Pipelines. I will be using the code from this GitHub repo minus the azure-pipelines.yml file that was added in last weeks post. I’m not going to walk you through the sign-up process, but if you don’t have an account you can sign up for Azure DevOps here. Click the Create project button in the upper right corner. On the dialog that shows enter a project name. I’m using the same name that was on the GitHub repo that the code came from. Click Create to continue. 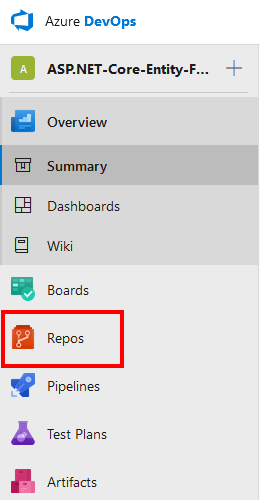 After the project finishes the creation process use the menu on the left and select Repos. Since the project doesn’t currently have any files the Repos page lists a number of options for getting files added. I’m going to use the Clone in VS Code option and then copy the files from my GitHub repo. If I weren’t trying to avoid including the pipeline yaml file an easier option would be to use the Import function and clone the repo directly. I’m not going to go through the details of using one of the above methods to get the sample code into Azure Repos. It is a git based repo and the options for getting code uploaded are outlined on the page above. Now that we have code in a repo you should see the view change to something close to the following screenshot. Hit the Set up build to start the process of creating a build pipeline for the new repo. This should be pretty close to the last half of last week’s post, but I want to include it here so this post can stand alone. On the next page select Azure Repos as the source of code. Next, select the repo that needs to be built for the new pipeline. Template selection is next. Based on your code a template will be suggested, but don’t just take the default. For whatever reason, it suggested a .NET Desktop template for my sample which is actually ASP.NET Core based. Select your template to move on to the next step. The next screen will show you the YAML that will be used to build your code. My repo contains two projects so I had to tweak the YAML to tell it which project to build, but otherwise, the default would have worked. After you have made any changes that your project needs click Save and run. The last step before the actual build is to commit the build YAML file to your Azure Repo. Make any changes you need on the dialog and then click Save and run to start the first build of your project. The next page will show you the status of the build in real time. When the build is complete you should see something like the following with the results. 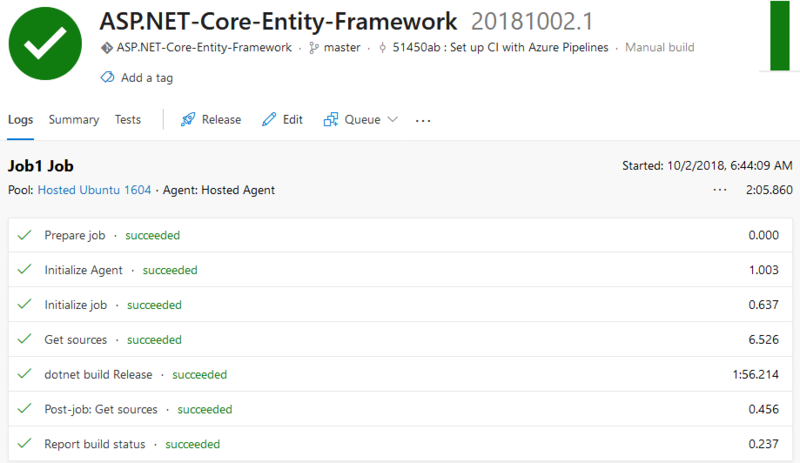 As expected using Azure Repos with Azure Pipelines works great. If you haven’t yet give Azure DevOps a try. Microsoft has a vast offering with this set of products that are consistently getting better and better. A few weeks ago Microsoft announced that Visual Studio Team Services was being replaced/rebranded by a collection of services under the brand Azure DevOps. 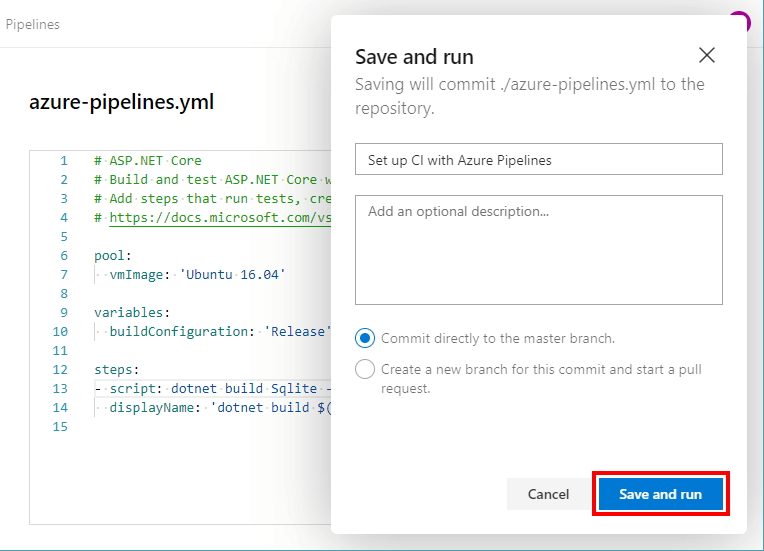 One of the services that make up Azure DevOps is Azure Pipelines which provides a platform for continuous integration and continuous delivery for a huge number of languages on Windows, Linux, and Mac. 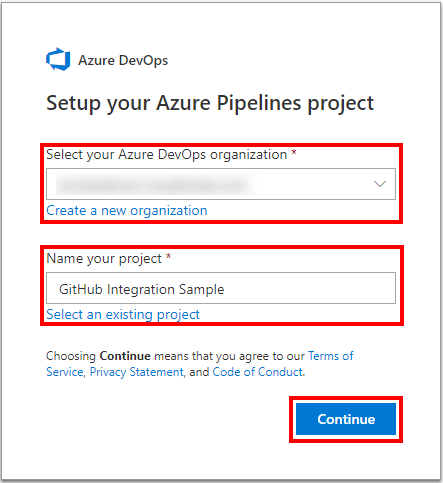 As part of this change, Azure Pipelines is now available on the GitHub marketplace. 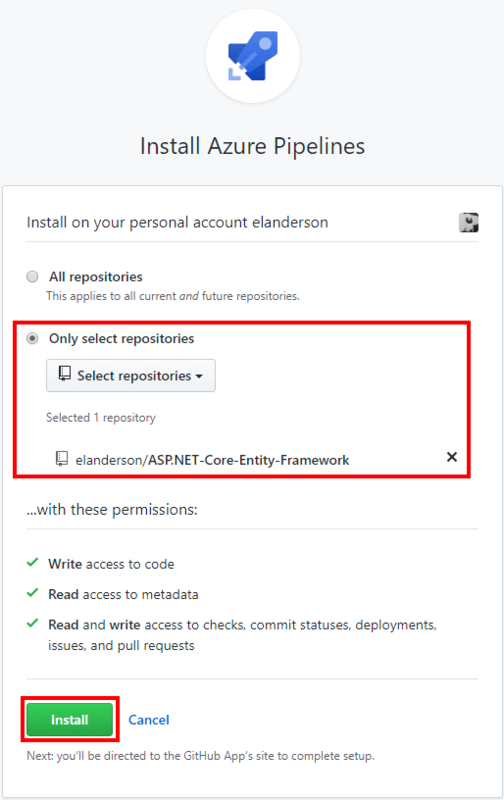 In this post, I am going to pick one of my existing repos and see if I can get it building from GitHub using Azure Pipelines. I’m sure Microsoft or GitHub has documentation, but I’m attempting this without outside sources. Make sure you have a GitHub account with a repo you want to build. 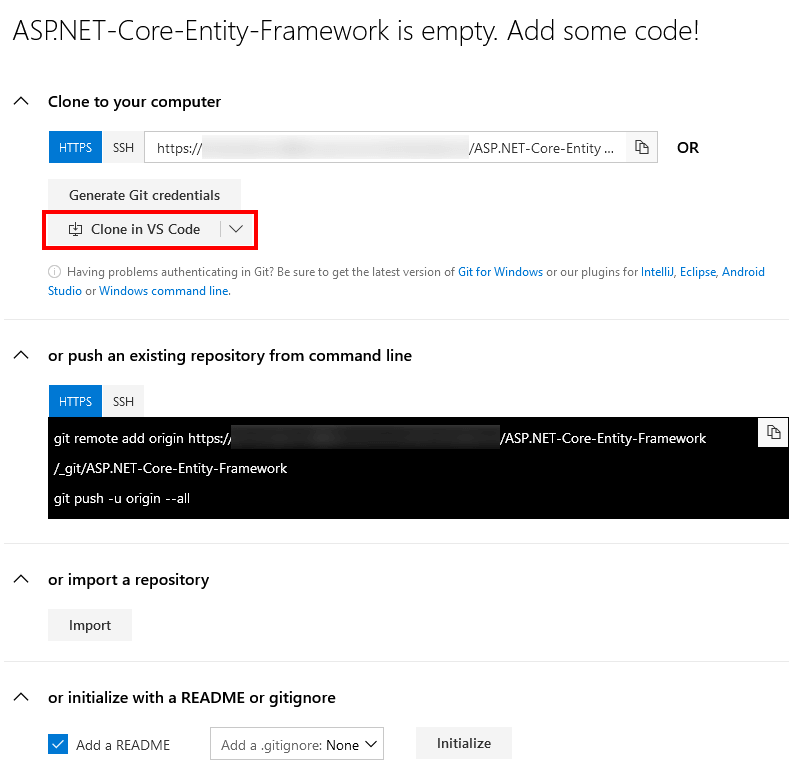 For this post, I’m going to be using my ASP.NET Core Entity Framework repo. 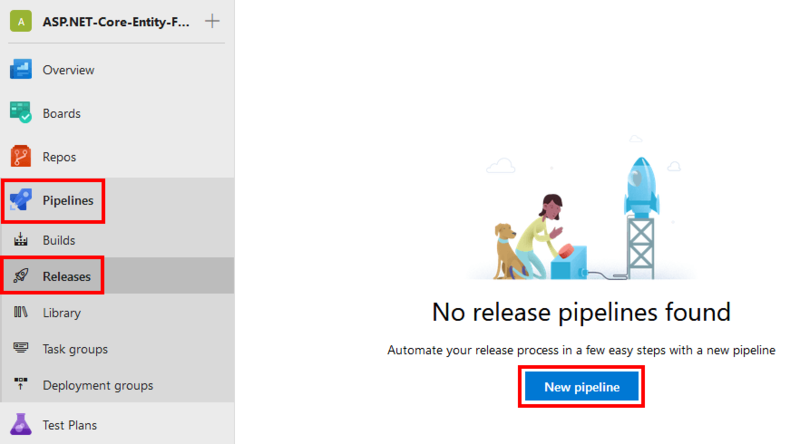 Now that you have the basic prep out of the way head over to the GitHub Marketplace and search for Azure Pipelines or click here. Scroll to the bottom of the page to the Pricing and setup section. There is a paid option that is the default option. Click the Free option and then click Install it for free. On the next page, you will get a summary of your order. Click the Complete order and begin installation button. On the next page, you can select which repos to apply the installation to. For this post, I’m going to select a single repo. After making your choice on repos click the Install button. After clicking install you will be thrown into the account authorization/creation process with Microsoft. After getting authorized you will get to the first set up in the setup process with Azure. You will need to select an organization and a project to continue. If you don’t have these setup yet there are options to create them. After the process complete you will be land on the New pipeline creation process where you need to select the repo to use. Clicking the repo you want to use will move you to the next step. The next step is a template selection. 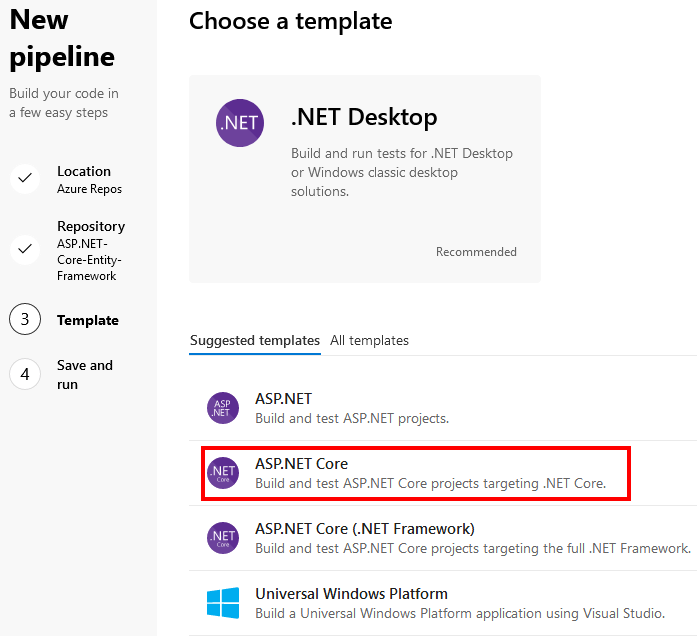 My sample is an ASP.NET Core application so I selected the ASP.NET Core template. Selecting a template will move you to the next step. The next page will show you a yaml file based on the template you selected. Make any changes your project requires (my repo had two projects so I had to change the build to point to which project I wanted to build). Next, you will be prompted to commit the yaml file to source control. Select your options and click Save and run. After your configuration gets saved a build will be queued. If all goes well you will see your app being built. If everything works you will see something like this build results page. GitHub and Microsoft have done a great job on this integration. I was surprised at how smooth the setup was. It was also neat to see a project that I created on Windows being built on Linux. 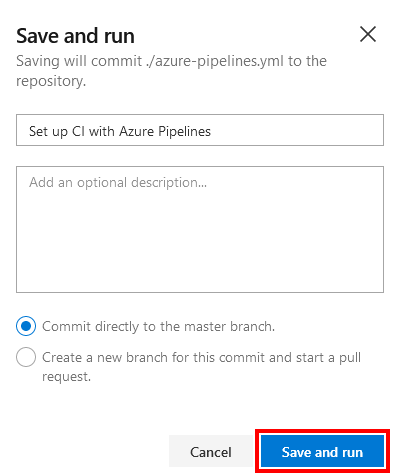 If you have a public repo on GitHub and need a way to build give Azure Pipelines a try.